Hey there friends. I'm sure that the majority of us with children will agree that a mother's breast milk is the best source of vitamins and minerals for your baby. Breast milk is jam packed with everything that your baby needs. But what if the baby refuses to take breast milk or mommy needs a little break from feeding? There are a number of brands of infant formula for new parents to choose from and during these times, it's tough to pay up to $30 for a single can of infant formula. 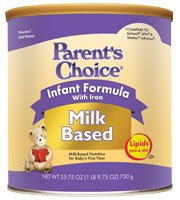 Parent's Choice Infant Formula is a great alternative to the brand name infant formula. With a price that is almost half of the leading name brands, this is a great supplement to you baby's health. And since all infant formula must adhere to the FDA's standards, you know that you are getting a quality product for your baby. 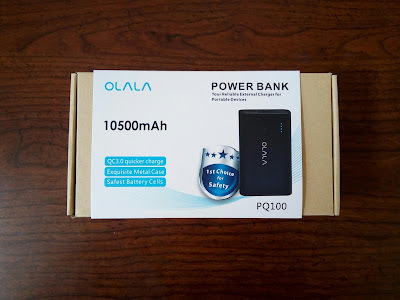 Now, before you go on and say that cheaper must be lower quality, let me fill you in as to why those name brand formula's cost more. It's called marketing. Those brands are trying to make a profit and the cost of the free samples and advertising that we see inflates the price for those brands. Parent's Choice Infant Formula will not push those costs to the consumer and rely on the word of mouth of loyal customers to stand behind their product. Check out their online calculator so that you can compare the prices of infant formula and see how much you could save switching over to Parent's Choice Infant Formula. Parents need many products to tend to their baby. Using Parent's Choice Infant Formula will scratch one item off that list. My friend who is already in New York now is using it for her two kids...and she appreciates its goodness...truly a good Parent's Choice...is this already available in the Philippines?